Mediation in Arizona: What is it and When Can it Help You? When you’re in the process of getting divorced, it is always optimal if you and your spouse can agree on key terms of your separation. Unfortunately, for many people contemplating divorce, the emotional volatility that is often present during this time prevents them from doing so. For these couples, mediation may be a viable option for setting the terms of the divorce in a neutral, non-threatening environment. In today’s blog, we’ll review what exactly mediation is and when it may be beneficial in the divorce process. At the Dorris Law Group, divorce attorney John Dorris specializes in helping his clients understand the divorce process by providing compassionate yet aggressive representation. If you’re a Tucson resident in need of well-qualified divorce representation, contact our office today for a free consultation. Mediation is a very helpful tool for couples who find it challenging to agree on the terms of their divorce. It is a confidential process that involves both spouses, their respective attorneys, and a neutral third party mediator. In many instances, the mediator is an active or retired judge with experience in the divorce arena. Many people mistakenly believe that the mediator is there to try to talk you out of divorce, but this is not the case. The role of the mediator is to help ensure cooperation and collaboration on both sides to reach agreeable solutions to outstanding issues relating to your divorce. What Issues are Appropriate for Mediation? Now that we know what mediation is, let’s take a look at a few situations that are well-suited for the process. Many couples have difficulty determining what property should be retained by who during the divorce process. It can be challenging to agree on who keeps the house, how businesses are divided, and how bank accounts are separated. With the assistance of divorce attorneys and a neutral, third-party mediator, many couples are able to resolve property division concerns through the mediation process. Arizona’s spousal support laws are complex and they can be difficult to understand in the absence of a well-qualified attorney. There are many instances where spousal support is appropriate, and others when it is not. Mediators can play an integral part in helping couples understand the nuances of these laws and come to an agreement on who will receive support and for how long. 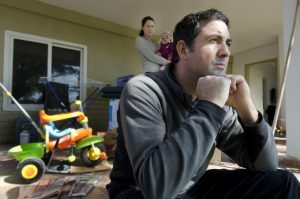 One of the most passionately contested issues during a divorce is that of child custody. Even in optimal circumstances when both spouses agree on the percentage of parenting time, there are still other details to sort out. A professional mediator can assist you, your spouse, and your divorce attorneys iron out details of custody exchanges, holiday time, and other details pertinent to parenting plans. Much like spousal support, child support is usually an area of friction between spouses during the divorce process. There are many factors to be taken into consideration, including the custody agreement and each respective spouses earning potential. Many couples who have reached an impasse on the matter of child support find it possible to find common ground and agreeable terms with the assistance of mediation. If you are a Tucson resident in need of a reputable divorce attorney, you can count on John Dorris and our team of experts to aggressively fight for your rights, guide you through the divorce process, and to arrange for mediation if necessary. When you choose our firm to represent you, you’ll always know the status of your case and you can rely on us to provide client-focused legal services that are custom-tailored to suit your needs. Call us today at 520-622-4866 for a free consultation!